In order to deepen our collective understanding of the situation in Palestine and the Palestinian people and to give Edmontonians the opportunity to discuss Palestinian issues, the Palestine Solidarity Network-Edmonton is forming a Palestine Reading Circle, which will explore books focused on Palestinian history, the reality of the occupation and Palestinian culture. Our intention is to read and discuss a variety of works, including fiction, non-fiction and poetry. People with all levels of experience and understanding are welcome. Depending on interest, we plan to initially meet in an informal setting like a coffee shop or someone’s home about every six weeks for a couple of hours. The books we will read will be decided upon by the group and two or three will be decided ahead of time to ensure people are able to order the books ahead of time. If you are interested in being part of the Palestine Reading Circle, please email psnedmonton@gmail.com and we will add your name to the list to receive updates about upcoming books and times/locations for meet-ups. he location will be set at a later date depending on the interest we receive and will be sent out over the list about a week prior. 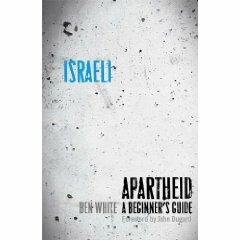 The book is 144 pages, and is a quick read which gives a good introduction to the political and human rights situation in Palestine. Information about the book is available here. The book can be ordered through Amazon.ca, but we strongly encourage you to support local independent bookstores (Audreys downtown or Greenwoods on the southside) by asking them to special order the book if they don’t have it in stock. The Edmonton Public Library does not currently have a copy of the book in their collection, but you can request a copy. Previous Previous post: Is Canada more pro-Israel than the US?